Concise 2-page summations of 133 classical formulas, 83 modern formulas, and 9 single herbs. Formulas describe ingredient percentages, historical origins, TCM indications, commentary with clinical applications, and contraindications and cautions. The formulas are organized into 18 clinical groups with 54 chapters, and include practical descriptions at the beginning of each chapter. This book accomplishes two tasks. 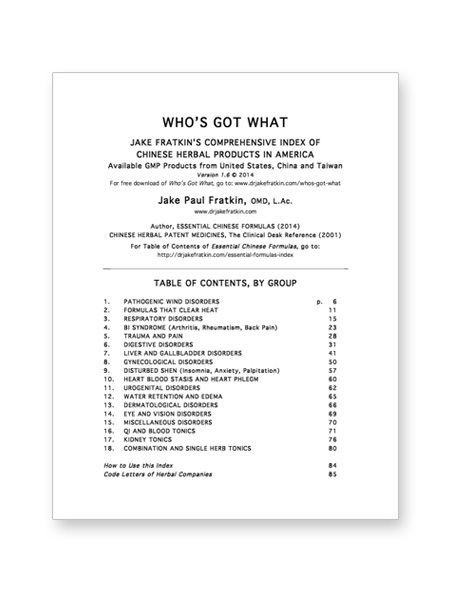 The first is to summarize, concisely, existing information on formulas from the Chinese and English language sources, with appropriate references. 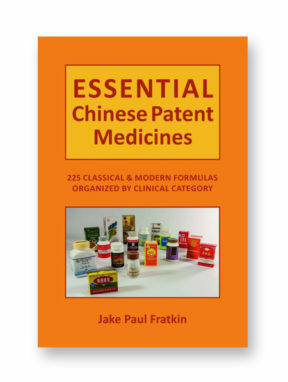 The second is to summarize Jake Fratkin’s 35 years of clinical experience of using and applying Chinese herbal medicine. These are discussed in the introductions to each chapter, and in the Commentary sections of each formula. 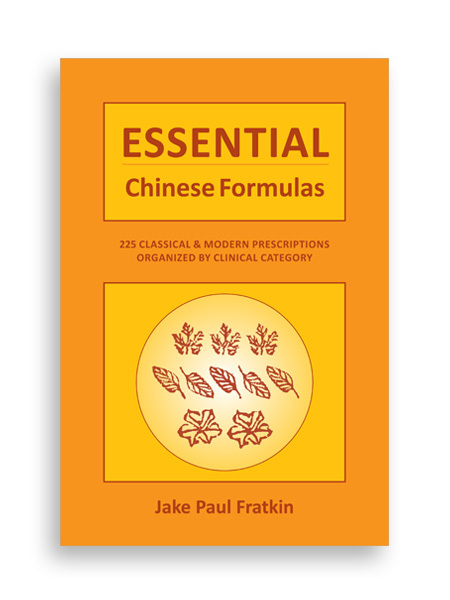 Why Essential Chinese Formulas? 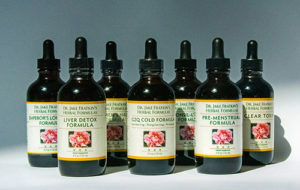 In the TCM colleges, students are exposed to over 800 formulas. This book focuses on the 225 most important formulas in clinical practice, and references the various manufacturers for each formula. 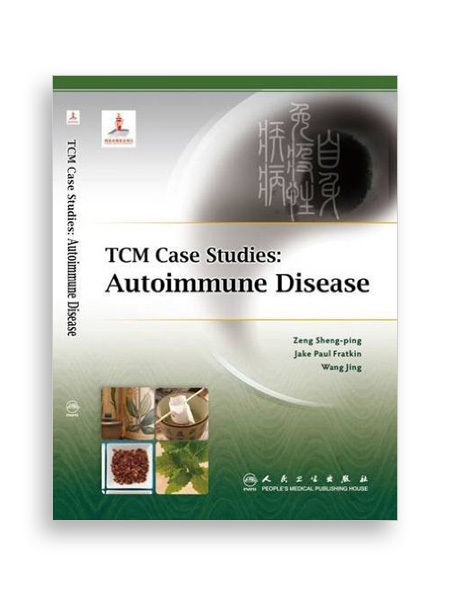 It offers a revision, updating and simplification of its predecessor, Chinese Herbal Patent Medicines, The Clinical Desk Reference (2001). 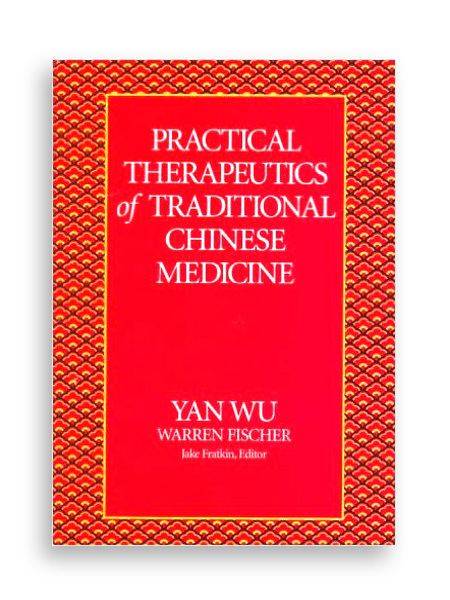 Its usefulness in the clinic will make this book a must-have for all practitioners and students of Traditional Chinese Herbal Medicine. Free Shipping! Within USA only. In stock, ships within 2 business days via USPS Media rate with a tracking number. 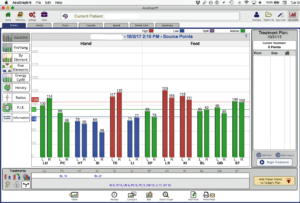 Typical delivery is 3 business days in the continental US. Deliveries within Colorado will have 2.9% sales tax added at payment. For international shipment, call our office at 303-554-0722 to place your order.